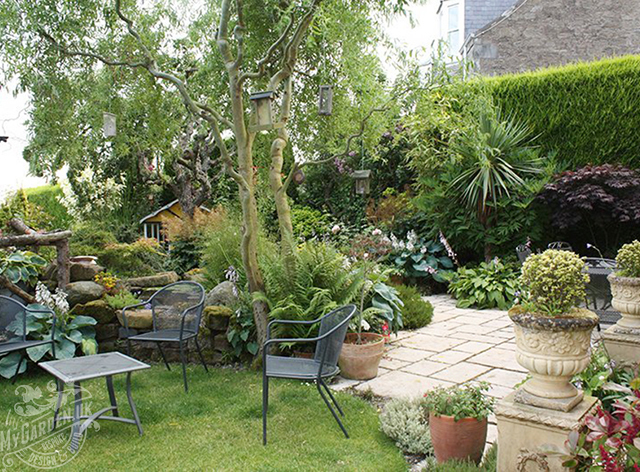 Are you planning to redesign your garden? My Garden is here to help you with both hard and soft landscaping work. My Garden will design and oversee your entire garden landscaping project. From creating natural looking elevations and land formations to building rockeries, we can change the terrain of your garden to produce an inspirational outdoor living space. We also offer unusual and unique timber structures and stonework. We try to use local businesses for all supplies. Their experience of local requirements deserves our support. At My Garden, we appreciate that a garden takes time to evolve and aim to plant structural shrubs and trees to provide new layers of colour and beauty. Based in Tayport and working throughout Fife and St Andrews, we try to select plants suitable for our climate and locally sourced. Local growers are harder to find and often slightly more expensive but your garden will benefit from plants which are suited to your local climate. 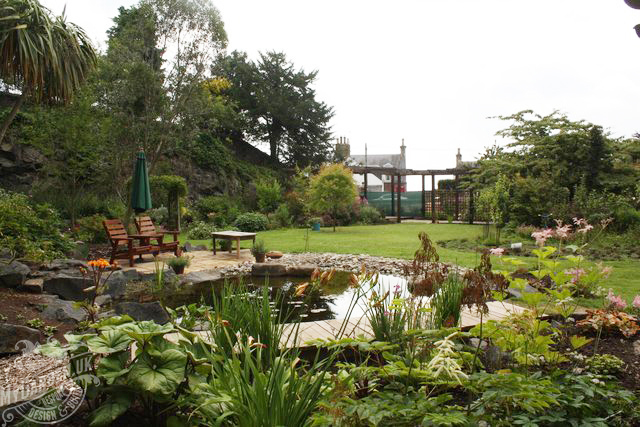 The presence of moving water entices wildlife into a garden within days of construction. We never tire of the variety of life we see in the garden ponds we create. At My Garden, we can dig down or raise up the pond level depending on the topography of your site. We can integrate into slopes although it's not for the faint-hearted. We need quite a bit of rock to build the perfect water feature for you, so access is important. Please make sure to consider the safety issues of toddlers and young children before deciding a pond is for you. You can take a look at some of our previous work on our previous projects page. We offer our services in Tayport, Dundee, St Andrews, and the surrounding areas. My Garden can provide unique stonework constructions. 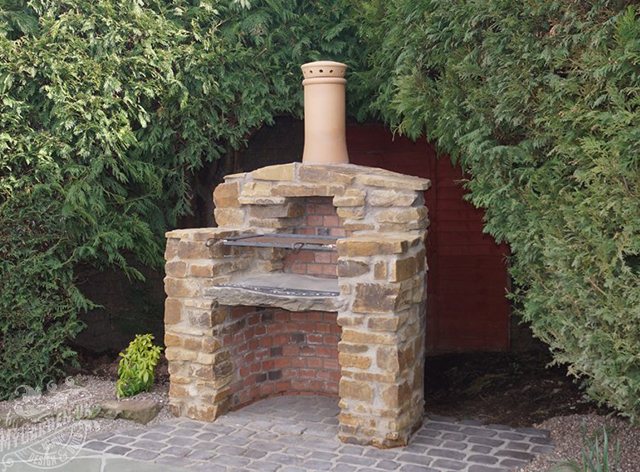 From garden walls, barbecues, firepits, stone seats or anything else you can think of, we can build it for you. At My Garden, we have a passion for incorporating creative stonework in the gardens we build. We choose materials to complement existing stonework either on your house or in your garden. Most of the stones we use are locally sourced. We like to minimise the use of cement whenever possible and usually aim to use large flags laid on the sharp sand with suitable sub-base. If we do use Indian Sandstone (ethically sourced) it will have to be laid with a full bed of cement. These stones can be a great addition to add character your garden. In addition to laying stonework we can also help you install water features and timber structures. Based in Tayport, we offer services in St Andrews, Dundee, and the surrounding areas. My Garden can design and construct handcrafted wooden structures for your garden. From pergolas to summer houses, we can produce timber structures to your specifications. Natural wood features complement planting and rock work. We use larch from a local sawmill to support local business. Whatever we integrate into a garden will be built to last. All of our timber construction work is designed to withstand both the worst of Scottish weather and the wear and tear of everyday use. If you are looking for something out of the ordinary, we are more than up for the challenge on bespoke timber builds. Please note, timber can split, often enhancing the rustic look we attempting to achieve. It will not be replaced unless the integrity of the installation is affected significantly. 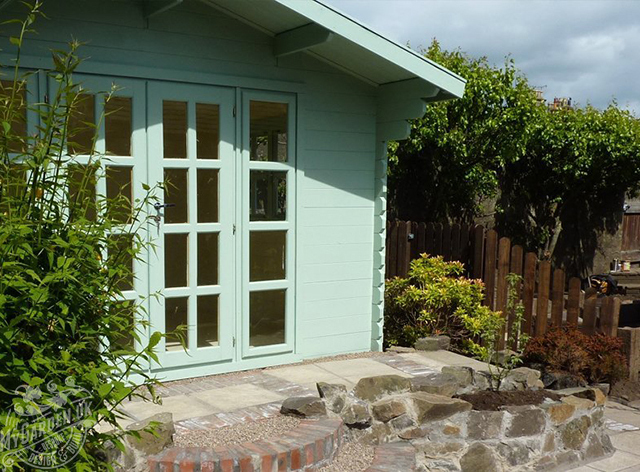 Based in Tayport we have a wealth of experience creating unique timber structures to enhance gardens for clients in St Andrews, Dundee, and throughout the Fife area.